The cocktail party effect is the ability of the brain to pinpoint specific information in a sea of information. For example, in a noisy room, you can hear and understand a conversation with a person near you. There has been extensive research into this effect as it is a complicated process that the brain needs to complete to listen to a specific sound. My brain was working overtime after I read Mind’s Eye by Douglas E. Richards and then listened to the Robin Sharma Webinar – 8 Forms of Success during the Summer holidays. 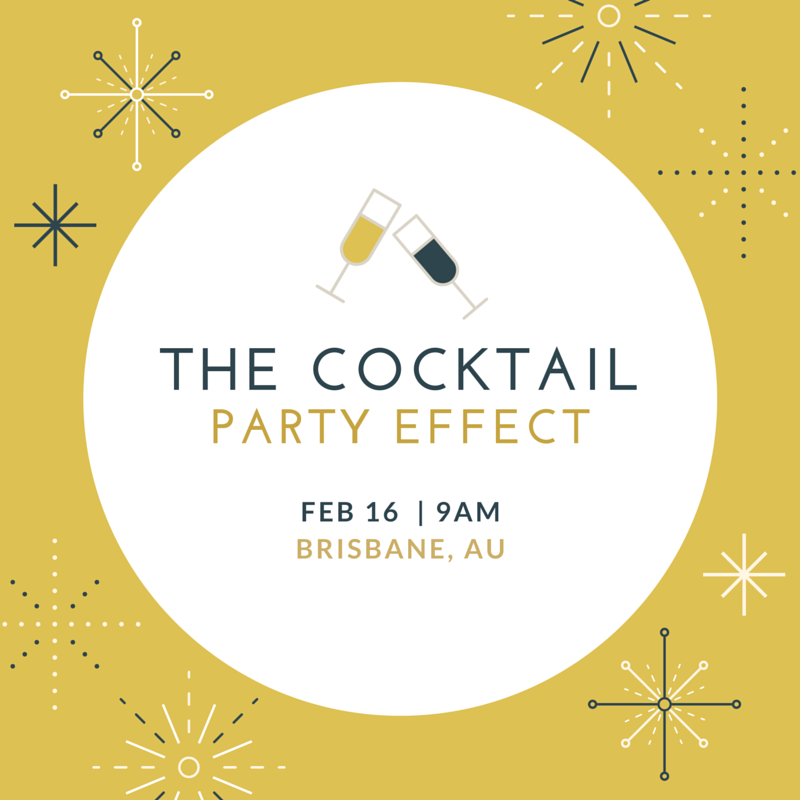 Then thinking of examples of the cocktail party effect, I began to think about the ability to “see” opportunities when the brain is primed to think about opportunity, compared to before priming when the brain missed “seeing” opportunity. For example,”look out for the red sports car”. All of a sudden you see red sports cars everywhere you look, even though before you did not see any red sports cars and there had not been a change in the number of red sports cars before you primed your brain to “see” them. Using this example, if you prime your brain to a mantra of something like “I will see random acts of kindness and say thank you”. Again, you start observing kind behaviours in your fellow human beings (hopefully this also encourages you to do the same). Positive priming is great and feels awesome, of course, the opposite is true as well. If we choose to listen or watch random acts of violence, what is the consequence? Maybe turn off the news for a day or two and see if you start to see the world differently, and in a more positive way. How do you prime your brain on a daily basis? Just as we need to feed our bodies with the correct nutrients, we also need to feed our minds with the proper stimuli? For an author, positive priming can create those moments of clear connections and focused thoughts. So as an author you need to read and listen to ideas that will assist you on your creative journey. Mantras can be a great focus point. Not the “I will be a famous author” type mantra, this saying will only see you fail. Your mantra needs to be something achievable on a daily basis. What mantra would you like to think about to assist with your personal growth? What destiny will you reap? One of my personal mantras is to Seek Beautiful Outcomes. Knowing that beauty is in the eye of the beholder, this mantra has helped me to reconsider what I thought was a problem and to see as an opportunity (very often this is not easy!). How have your mantras helped you? How has a random act of kindness changed the way you see the world?